I enjoy the accuracy I achieve with foundation piecing but I don’t like drawing all the copies a pattern can require. I have experimented with several different methods of reproducing the required patterns and I would like to share one of these techniques. I use baking paper. Using the original pattern as my guide I cut the required number of pieces for the particular design I am working on and staple the layers together. 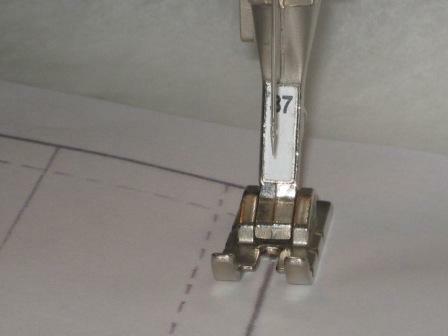 I remove the thread from the machine and change to a larger needle than I would use for piecing. A leather needle is ideal and I store it in a labeled package to ensure it is only used for paper foundation templates. 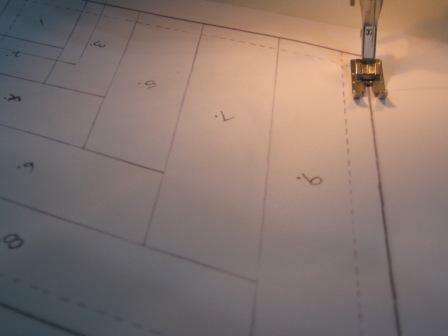 Then, using the original pattern on top I sew along the outer lines and the sewing lines. I number each pattern piece exactly like the original and I am ready to begin paper piecing. 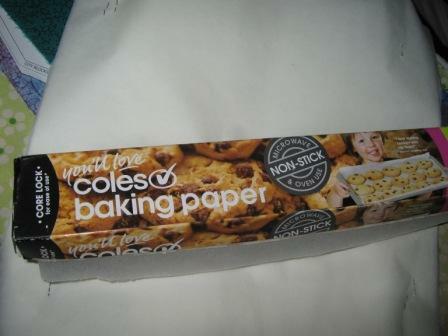 The threadless needle makes perforations in the baking paper. 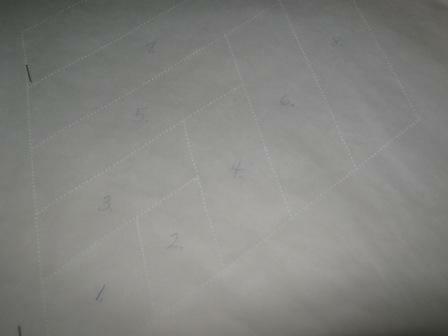 Paper piece as normal using these perforations as your sewing lines. I find the baking paper is easier to remove after stitching than some of the heavier papers.